This is a repost that originally appeared on the Couchbase Blog: SQL Server and Couchbase side-by-side (video). SQL Server is compared (and contrasted) with Couchbase Server in this video. The source code demonstrated in this video is available on GitHub. If you have questions or feedback, please contact me at [email protected], or on @mgroves at Twitter, or just leave a comment below. 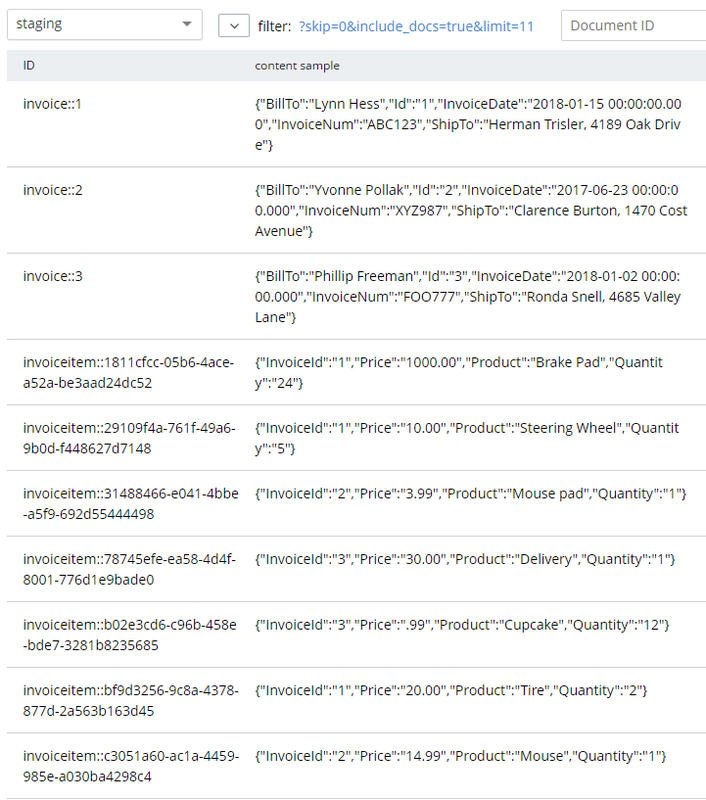 This is a repost that originally appeared on the Couchbase Blog: SQL to JSON Data Modeling with Hackolade. 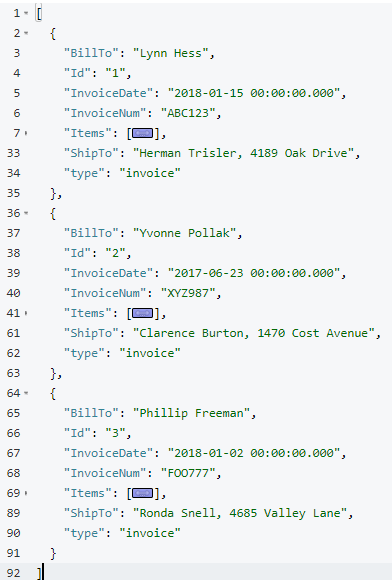 SQL to JSON data modeling is something I touched on in the first part of my "Moving from SQL Server to Couchbase" series. Since that blog post, some new tooling has come to my attention from Hackolade, who have recently added first-class Couchbase support to their tool. In this post, I’m going to review the very simple modeling exercise I did by hand, and show how IntegrIT’s Hackolade can help. First, let’s review, the main way to represent relations in a relational database is via a key/foreign key relationship between tables. Referential - Concepts are given their own documents, but reference other document(s) using document keys. Denormalization - Instead of splitting data between documents using keys, group the concepts into a single document. 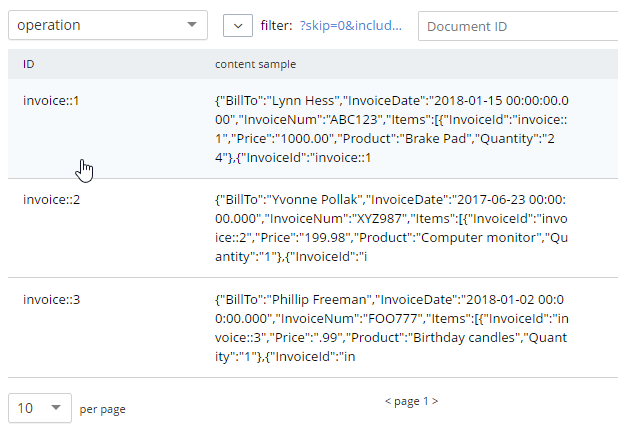 In my example, I said that a Shopping Cart - to - Shopping Cart Items relationship in a relational database would probably be better represented in JSON by a single Shopping Cart document (which contains Items). This is the "denormalization" path. Then, I suggested that a Social Media User - to - Social Media User Update relationship would be best represented in JSON with a referential relationship: updates live in their own documents, separate from the user. 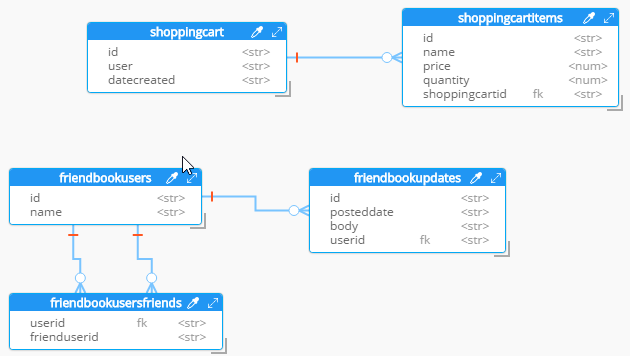 This next part assumes you’ve already run the SQL scripts to create the 5 tables: ShoppingCartItems, ShoppingCart, FriendBookUsers, FriendBookUpdates, and FriendBookUsersFriends. (Feel free to try this on your own databases, of course). First, right click on the database you want. Then, go to "Tasks" then "Generate Scripts". Next, you will see a wizard. You can pretty much just click "Next" on each step, but if you’ve never done this before you may want to read the instructions of each step so you understand what’s going on. At this point, you have a brand new model that contains a "New Bucket". You can use Hackolade as a designing tool to visually represent the kinds of documents you are going to put in the bucket, the relationships to other documents, and so on. In Hackolade, go to Tools → Reverse Engineer → Data Definition Language file. You will be prompted to select a database type and a DDL file location. 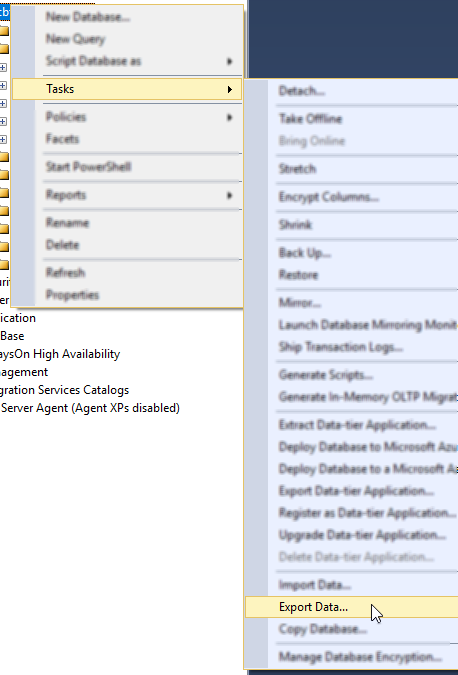 I’ll select "MS SQL Server" and the "script.sql" file from earlier. Finally, I’ll hit "Ok" to let Hackolade do its magic. Hackolade will process the 5 tables into 5 different kinds of documents. So, what you end up with is very much like a literal translation. 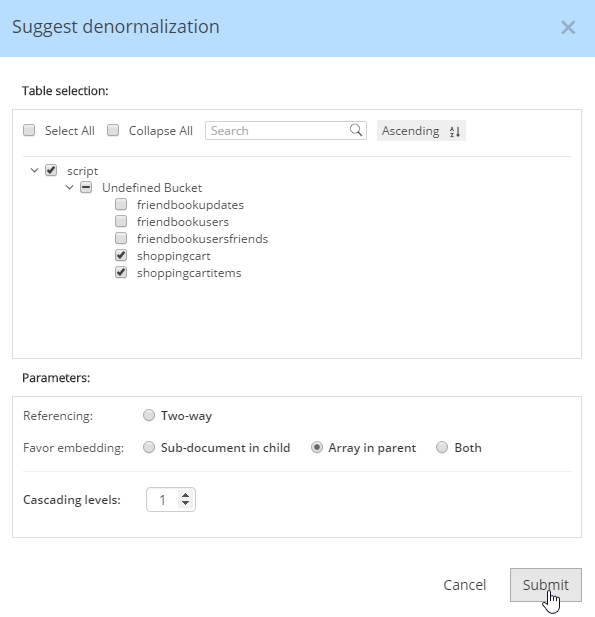 For instance, Hackolade can make suggestions about denormalization when doing SQL to JSON data modeling. Go to Tools→Suggest denormalization. You’ll see a list of document kinds in "Table selection". Try selecting "shoppingcart" and "shoppingcartitems". Then, in the "Parameters" section, choose "Array in parent". Embedding Array in parent - This is what was demonstrated above. Embedding Sub-document in child - If you want to model the opposite way (e.g. store the shopping cart within the shopping cart item). Embedding Both - Both array in parent and sub-document approach. Two-way referencing - Represent a many-to-many relationship. In relational tables, this is typically done with a "junction table" or "mapping table"
Also note cascading. This is to prevent circular referencing where there can be a parent, child, grandchild, and so on. You select how far you want to cascade. 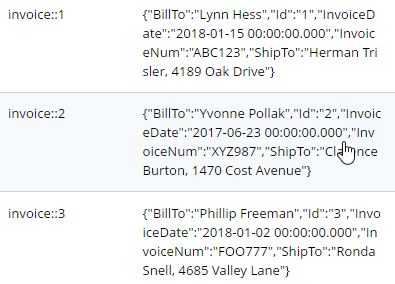 Add a 'type' field. 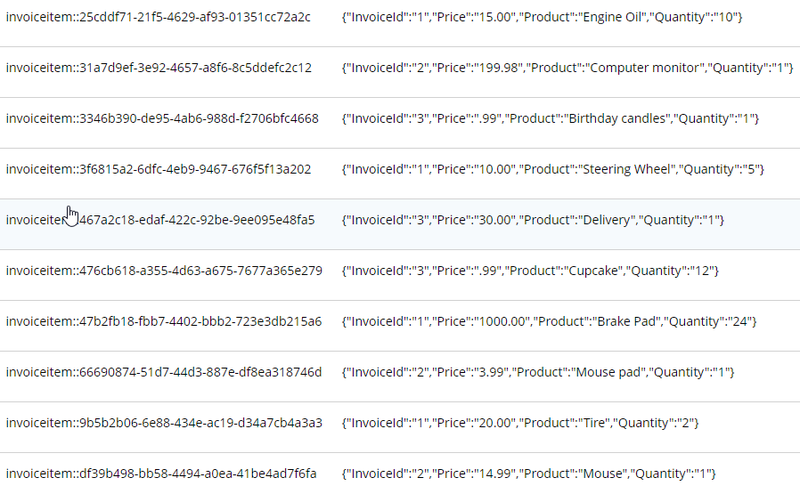 In Couchbase, we might need to distinguish shoppingcart documents from other documents. One way to do this is to add a "discriminator" field, usually called 'type' (but you can call it whatever you like). 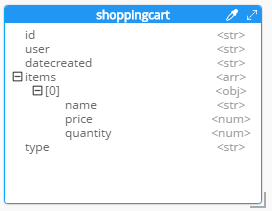 I can give it a "default" value in Hackolade of "shoppingcart". Remove the 'id' field from the embedded array. The SQL table needed this field for a foreign key relationship. Since it’s all embedded into a single document, we no longer need this field. Change the array name to 'items'. Again, since a shopping cart is now consolidated into a single document, we don’t need to call it 'shoppingcartitems'. Just 'items' will do fine. Go to File → Generate Documentation → HTML/PDF. You can choose what components to include in your documentation. Hackolade is a NoSQL modeling tool created by the IntegrIT company. It’s useful not only in building models from scratch, but also in reverse engineering for SQL to JSON data modeling. There are many other features about Hackolade that I didn’t cover in this post. I encourage you to download a free trial of Hackolade today. You can also find Hackolade on Twitter @hackolade. If you have questions about Couchbase Server, please ask away in the Couchbase Forums. Also check out the Couchbase Developer Portal for more information on Couchbase for developers. Always feel free to contact me on Twitter @mgroves.